Temperature controllers are used to regulate temperatures without extensive operator involvement. 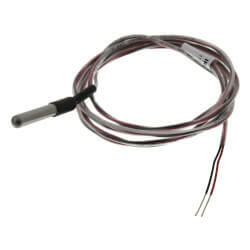 Temperature controllers can be used in a wide range of applications. 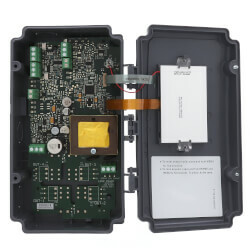 Certain features should be considered before selecting a temperature controller, with the most important being the controller's temperature range. Other factors that should be considered are the application type, input sensor type, number of outputs, and the type of outputs. 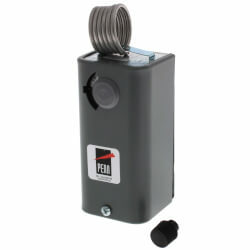 Pneumatic temperature controllers regulate air and liquid temperatures. 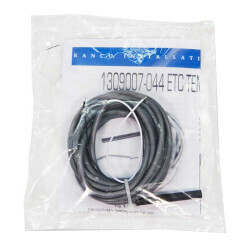 They are designed for heating and cooling unit ventilators and fan coil units. 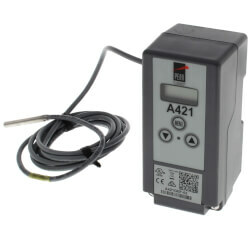 Pneumatic temperature controllers operate in three phases. 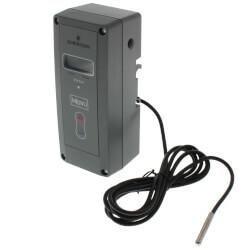 First, the pneumatic temperature controller senses the temperature being monitored. It then attempts to balance its internal lever system. Finally it adjusts its pilot pressure to counterbalance the main lever force. 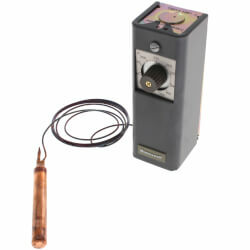 A pneumatic temperature controller can have direct action or reverse action. 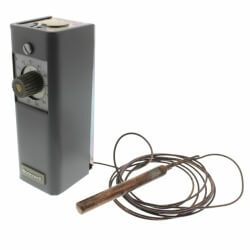 In a direct acting pneumatic controller, the output signal rises as the temperature rises. The opposite is true for a reverse acting pneumatic temperature controller. 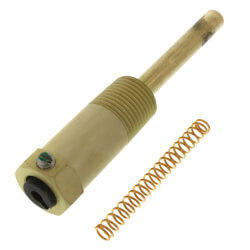 Both provide proportional control of pneumatic valves and damper actuators in heating and air conditioning systems. 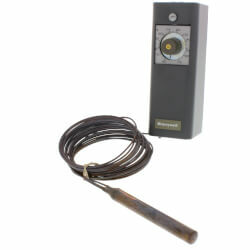 Direct acting and reverse acting controllers are available in one pipe or two pipe configurations. A one pipe configuration is used in low air capacity applications, while a two pipe configuration is used in high air capacity applications. 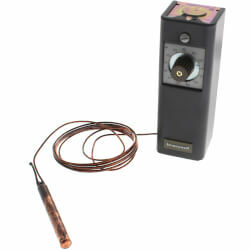 Two pipe controllers are the more popular option on our website. 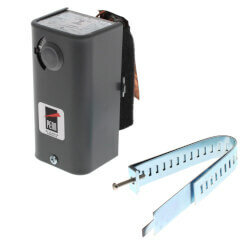 Modulating temperature controllers are used to adjust water control or air temperature in ducts, tanks, and similar applications. These controllers should be selected based on the features the application requires. 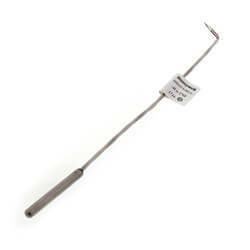 Models with a copper fast response element provide a response time four times faster than standard models. 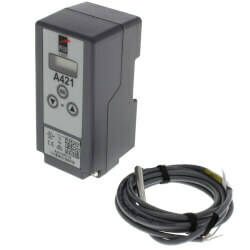 Modulating temperature controllers can have an analog or relay output type. 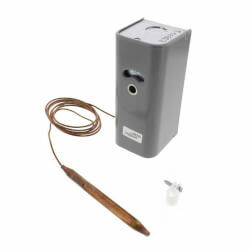 Return-air temperature controllers are used to maintain a constant ambient temperature in farm, industrial, or commercial applications. 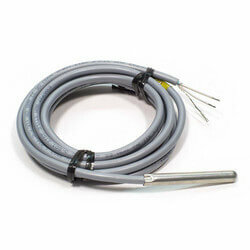 These controls regulate temperature in ventilation, heating, or cooling systems by adjusting the temperature of the air supplied by individual cooling units. 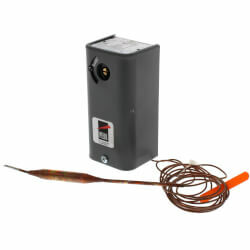 A return-air temperature controller regulates the temperature on the supply side of an air handler. 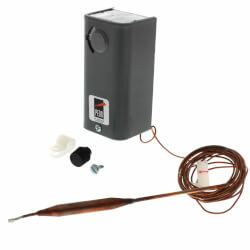 This allows a facility to control and supply predictable temperatures, thereby reducing operating costs. 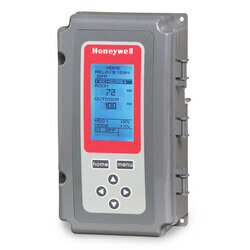 Ambistat temperature controllers are used for HVAC, agricultural, and industrial applications. 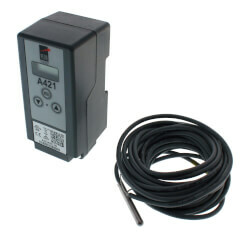 An ambistat temperature control regulates a wide temperature range and can be used in many applications. Common applications for these controls are beverage dispensing machines, ice cube machines, bulk milk tanks, dishwashers, crop drying, tobacco curing, and similar applications. 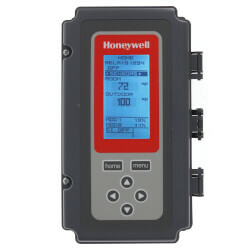 Electronic temperature controls are the next generation of commercial and agricultural temperature controls. 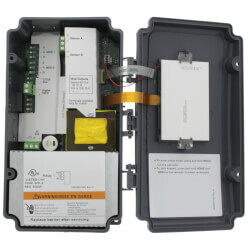 These versatile controls are economical, programmable, and simple to install. A sequencer model and a universal input model are the two unique models available. 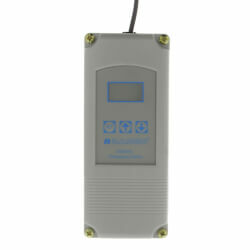 The sequencer model eliminates the need for a separate time delay device. 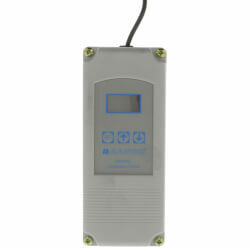 It uses a time clock scheduler/digital input to control setback and disables output to save energy. 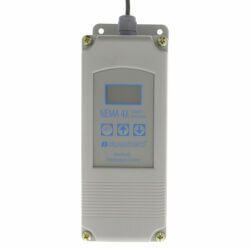 It also controls floating actuators with floating outputs. 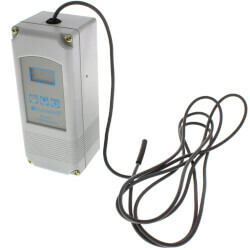 The universal input model can control pressure, humidity, or any variable analog input. 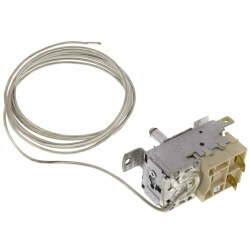 A special boiler model is available for boiler control. The staged sequencing model is the best option for applications that require relays to be staged in sequence. We carry a wide selection of Honeywell, Ranco, and White Rodgers temperature controllers for residential or commercial applications.